This year, Iowa State University received nearly $10 million from the National Science Foundation (NSF) to help improve diversity in science, technology, engineering and mathematics (STEM) fields. Within Iowa State’s Electrical and Computer Engineering (ECpE) department, $5 million over the next five years will go toward creating 272 individual NSF Scholarships for students from Iowa State, Des Moines Area Community College (DMACC) and Kirkwood Community College, with an emphasis on promoting diversity. This semester marks the very first cohort of students benefiting from S-STEM. Ten women were selected based on a combination of student involvement, diversity, a short written essay and financial need. While gender is not a requisite for this scholarship, ECpE uses S-STEM as leverage to create more diversity in the field. In conjunction with the scholarship, students have been participating in a leadership course led by Associate Professor Joseph Zambreno and Professor Diane Rover. 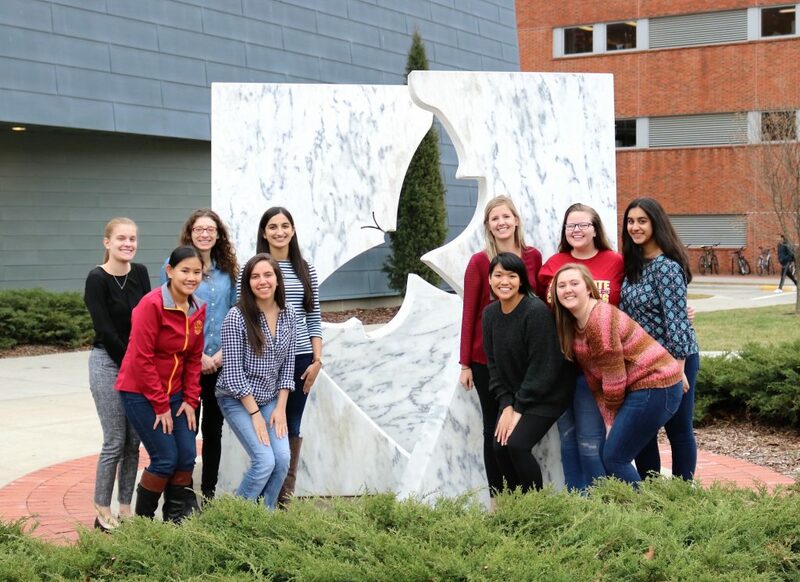 This course will allow them to build a module for the upcoming Taking the Road Less Traveled conference hosted by Iowa State’s Program for Women in Science and Engineering (WiSE). The scholarship recipients also will be connected with young alumni, professors and industry professionals to continue their advancement in the field. Rover spoke on her optimism for the creation of groups like this.